Kicking off 2019 with a special, one-night only concert in the City of Light! Thrilled to return to one of my favorite places on this planet, to Paris, the beautiful city where my mother was born. 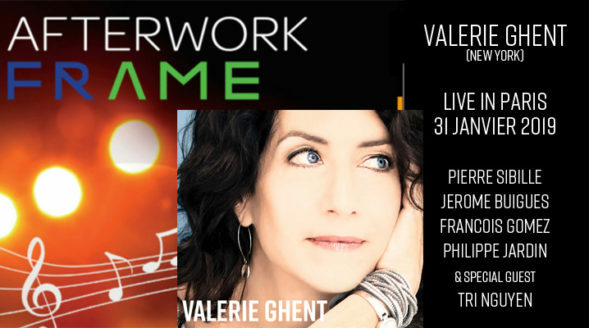 Bringing this particular concert full circle for me, we will be performing right next to the Eiffel Tower, in the same arrondissement where my mother lived as a child. The venue is within walking distance of her childhood home, so I plan to walk there before the concert and visit her apartment building. My mother told me as a child she loved looking up at the Eiffel Tower, and now, years after her passing, I will be singing right next to it. I can’t help but marvel at the twists and turns of life! In addition to my wonderful band, who will be coming up to Paris from the South of France to join me for this special, one night only performance, I have the incredible honor to welcome dear friend and phenomenal musician, Tri Nguyen, who plays the Vietnamese dan-tranh (zither). Tri and I have begun collaborating on new music projects, and it is a tremendous honor for me that he will be able to join us the night before he flies to Vietnam. Please join us for what promises to be an unforgettable evening, filled with history, new beginnings, and love.